I love books. No big secret there if you have followed my blog or known me for any amount of time. 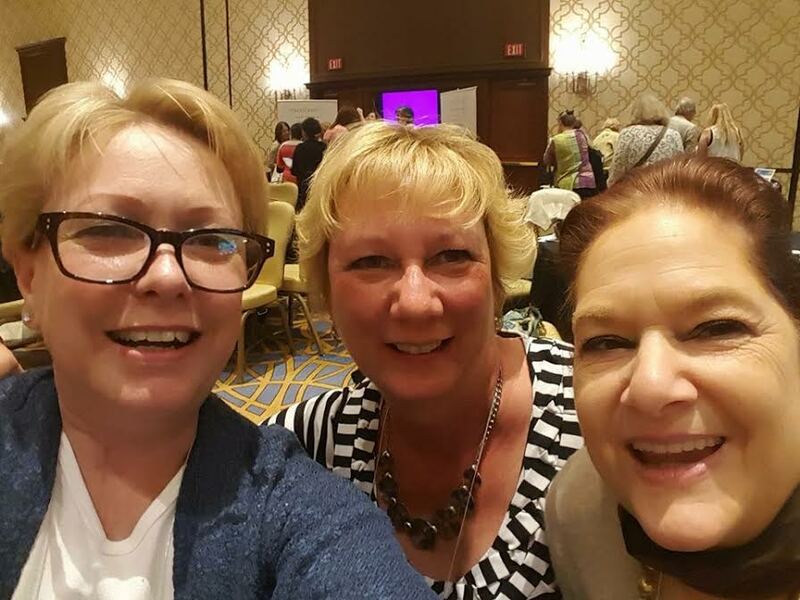 On my recent trip to Las Vegas and the Blogger At Midlife Conference (you can read my initial post here) I was thrilled to meet a lot of very talented women who were outstanding authors. That is what I love. When I can connect with an author who has done the hard yards and gotten the actual published work under her/his belt. At BAM there were a lot of authors and I came home with a stack of hard copies as well as plenty of downloads on my Kindle. Arriving in Vegas I had reached out to a couple of women who were coming in around the same time and begged asked to share a ride to the hotel from the airport with them. They graciously agreed and then I discovered that they were both authors which made me a bit giddy. Of course there were selfies. After all we are bloggers and social media addicts. We shared a magical Uber ride with Aaron our driver and I felt like I had known them forever. Barbara blogs at Zero To Sixty and Beyond and is simply a lovely woman. I discovered that she has written a children’s book called The Duffy Chronicles which looks to be a fun book for all ages. In addition she has also written a book, While You Were Sleeping, which was her journal during the time when her husband battled lymphoma. Barbara graciously has a free download available to anyone who would like to read a copy of this journey through cancer. If you would like to read a copy you can click on the download link by going here. I have just started it and it is certainly a well written and helpful book. In April of 1999, my younger brother, David, passed away. Doesn’t passed away sound so gentle, even normal? David’s death was neither, it was brutal murder. This book is the true story of the random murder of my brother. The youngest of five. I am the oldest. We were the book ends. The Stranger in My Recliner is one of those books that sticks with you for many reasons. Author Doreen M. McGettigan has a story to tell and it is one of compassion, courage, discomfort, uneasiness and a myriad of other emotions that all pop up while the book is read. To say that this is an easy memoir to read might not be fully true but to say that this is a book that needs to be read is spot on. To read my complete review click here. I am not alone in my glowing review of what is truly a book that needs to be shared. 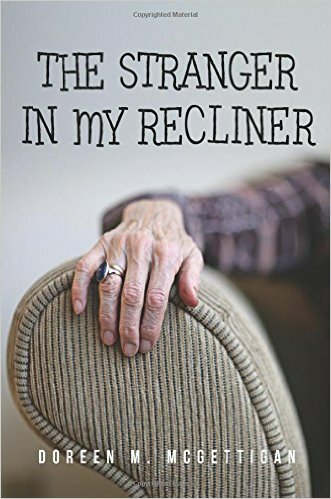 Doreen graciously has agreed to send one of my readers a free copy of The Stranger in My Recliner to one of my wonderful readers and I am thrilled to be a part of this giveaway. There is nothing better than a book other than a free book. To make it very easy for my readers all that is required to enter the giveaway is to leave a comment on this post saying that you would like to win. No Rafflecopter this time – just leave a comment and I will have a random number selector pick the winner on May 6th. The great thing is that every comment will also mean a 50 cent donation to my Comments for a Cause recipient. The cause for April is the Special Olympics of Transylvania County. Thanks so much to Doreen for gifting one of my dedicated readers and for writing a story that had to be shared. What a great trip! Of course I would love to win a copy of the book! Thanks for putting together the opportunity. Absolutely! Good luck. It is such a great book to be able to share with you! Those lucky ladies got to share an uber with you? Serendipity. It was a short trip, but memorable for sure! It was so nice to meet you. Thank you, Doreen! I loved the book and I know one of my readers will love it as well. You are a very gifted writer and I am thrilled to have met you! Yes, I want to win, too! Also, am I crazy or does Doreen look a lot like your friend Anne? You know what? Maybe a little bit! I had not thought of it but in this photo yes–she kind of does! Looks like a wonderful time and the book sounds like a great read, too! Thanks for stopping by!! It is a really good book! I want to win because I want to give it to my mom! She would love it!!! I don’t have time to read right now! What a sweet daughter you are. You are meeting yourself coming and going! This sounds like a must-read book. I mean, who does this, invites a homeless woman into their home? I doubt many books have been written on this subject. Yes, please throw my number in the hat. Thank you for offering this give-away. Thanks for stopping by as always. Doreen is a lovely woman and is so gracious in giving a copy to one of my readers. Good luck! Sound like a great time! Although the book sounds awesome, don´t put my name in the hat as I don´t want you to have to send it to Spain. (so expensive) Good luck to the winner! Thanks for supporting authors like you do. Your dedication to authors and their works is refreshing! Happy Reading!!! And your dedication to showcasing wonderful food is refreshing as well! I would love a copy of this book. I love DOREEN she is an inspiration to an aspiring writer like myself! Thanks for stopping by, Megan. Yes–she is VERY inspiring and I am an aspiring writer as well so I totally understand what you are saying. Good luck! Yep. I probably messed that up on the post, didn’t I? I need to go double check! Thanks for stopping by and good luck! Fixed it!!! Thanks for the heads up! Nice one…good to be reminded that despite the danger built into sharing a car, house, etc., it’s statistically more *likely* that we’ll find ourselves sharing with a new friend rather than with a Bad Person. THE STRANGER IN MY RECLINER sounds like something I’d be interested in reading. Please include me in the giveaway. Of course, I would love to win this. Of course, I will share. I have a brother in law who is developmentally disabled. My former next door neighbor’s son was, also, and benefited so much from Special Olympics. Well how wonderful for you to stop by!!!! Thank you so much for taking the time! I am thrilled to offer this great book thanks to Doreen and to know that you have a connection to Special Olympics makes me so happy. Doreen is such an amazing and inspiring woman. I am glad I was able to meet her at BAM. I bet her book is incredible. Thanks for stopping by, Pam, and YES—her book is amazing and a glimpse into the wonderful world of Doreen. I was thrilled to meet her as well and I wish you luck ! I love all the [email protected] connections! So happy you made these ones! It was wonderful to meet so many of you! Already looking forward to next time. Thanks for stopping by! I met Doreen at BAM16 and she was lovely. I’d love to win her book. I met Doreen and so many great women at BAM, and I’d love to read the book. It reminds me of the year my Mom invited a newly divorced plumber to Thanksgiving because she knew he was lonely. Liegeia , Thanks so much for taking the time to stop by and leave a comment! Doreen is a great lady and I was thrilled to meet her as well. I love the story about your mom!!! I think I’ll purchase McGettigan’s book, because the story intrigues me. Wanted to leave a comment though to donate to that charity. Neat way to do it. Thank you so much, John! Doreen is such a kind person and you are as well for taking the time to stop and leave a comment for Special Olympics this month. Bless you! I’m sorry I didn’t get to meet you while I was at [email protected] Maybe next time? I’m intrigued by the book! I’d love to be entered in the drawing. Thanks for stopping by, Sheila, and taking the time to comment. I loved meeting Doreen and so many others at BAM and maybe next year we will meet ! There were so many ladies! Thanks again for stopping by and good luck!